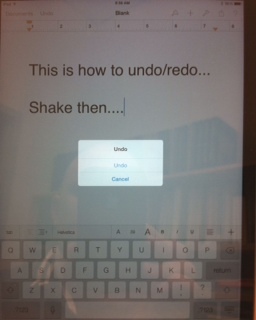 …that there’s a quick undo/redo function available on iPads and iPhones? To quickly get to this, type something and then give your device a gentle shake. An “Undo/Redo” window will appear. Just a quick, fun tip!